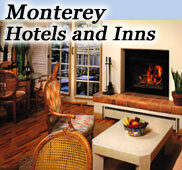 Monterey vacations at Monterey hotels and Pacific Grove inns. California Vacation Center Reservations is the premier hotel reservation service for Monterey reservations on the Monterey Peninsula. 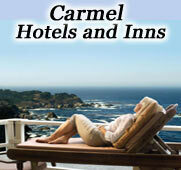 Our free service offers quality lodging at Monterey hotels, Pacific Grove inns, and other motels and hotels in Carmel and Big Sur. For Monterey reservations, tell us what you're looking for, your price range, and we will find a number of options for you. 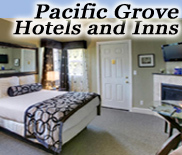 Located in Monterey, our personal knowledge of Monterey hotels and Pacific Grove inns of the Monterey Peninsula enables us to reserve the ideal accommodations that will insure you have a great time within your budget. All of the properties that we recommend are personally inspected by our staff. In addition, we will answer questions about the Monterey area and what would be best for your particular group or visit. We look forward to speaking with you. Photos used with permission. Certain photos copyright, Beyond 21 Inc.
All rights reserved. Copyright 2012-2013, California Vacation Center Reservations.